PRICE - Rs490/- got 20gm. 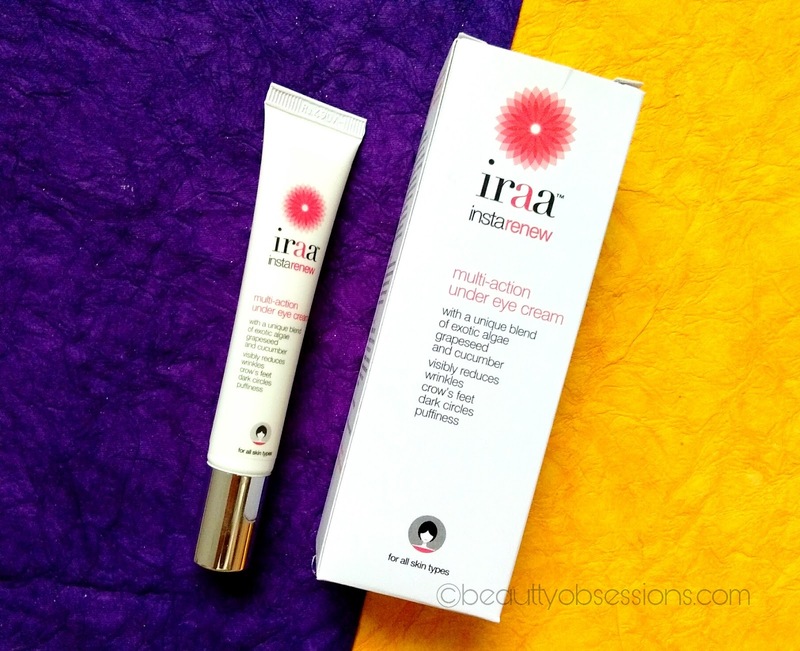 The under eye cream comes in a squeezable tube with metallic finish plastic screw cap.. The opening of the tube is so narrow which allows very tiny quantity on each squeeze and I found it quite good. 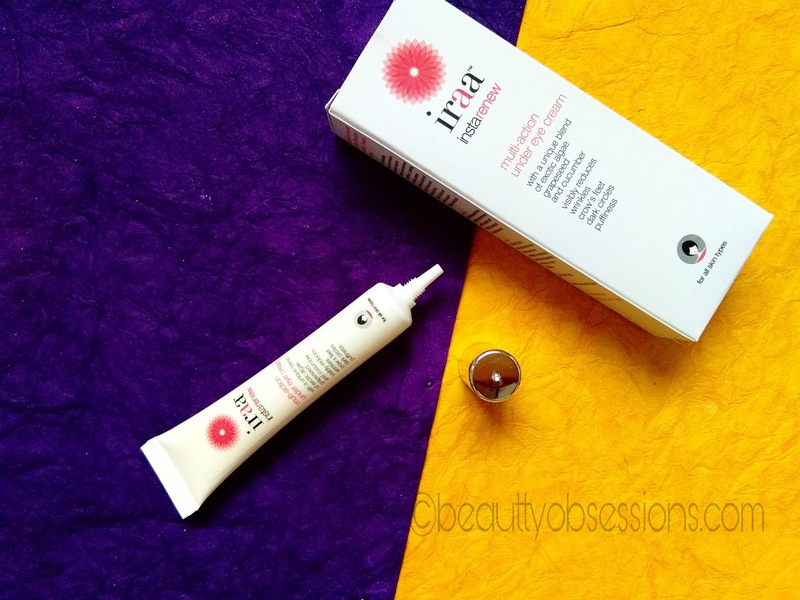 The tube comes inside a cardboard box which has all information regarding the product.. Overall packaging is travel-friendly and sturdy..
MY EXPERIENCE - I am using this since a month now along with the night cream of the same brand.. I have under eye dark circles and I was seriously expecting some miracle from this eye cream.. It works good but till now not much effective on my dark circles. After applying, it relaxes my eyes and reduces the puffiness in the morning and moisturises as well but not effective in reducing the density of the dark circles... It might take long to show the result but I am not sure... I don't have any wrinkles on my skin yet ,hence can't comment on that.. The cream is white in colour and you just need a tiny drop to cover the two eyes areas. It absorbs quickly and keeps hydrated the eye area. 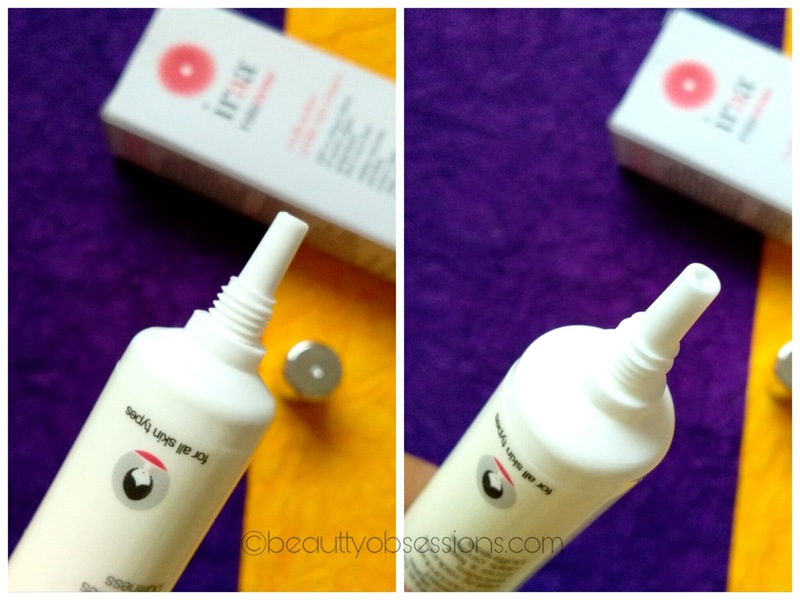 It doesn't feel heavy or sticky like some other eye creams feel. It has cucumber extracts which gives soothing effect after applying.. If I will ignore the price, I will love this product to apply on daily twice just to relax my eyes..
▶Has cucumber extracts which helps to sooth the under eye area. 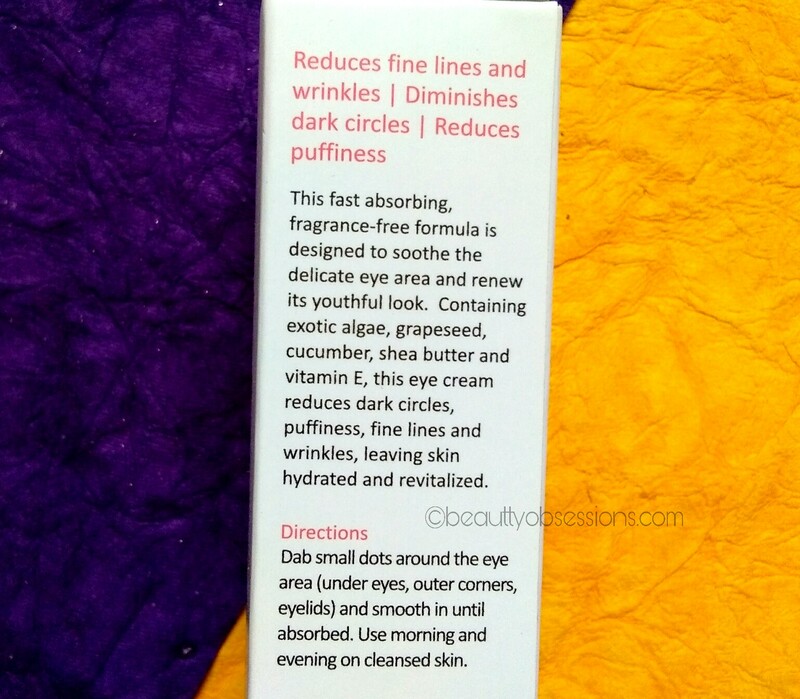 ▶ Availability might be an issue..
▶Not giving instant result in curing dark circles. 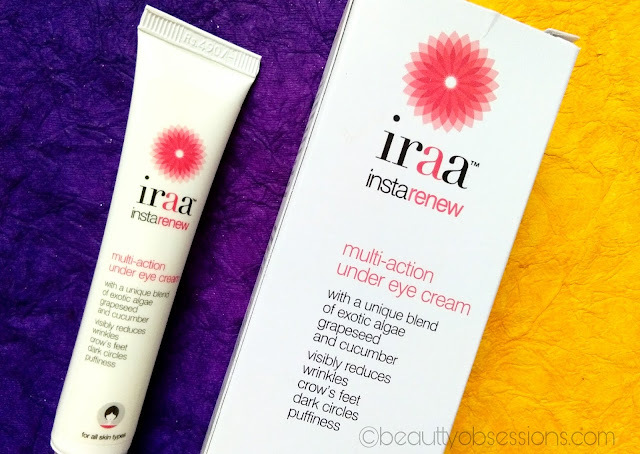 Hope you found this review helpful.. See you in the next post ..
Iraa has amazing products. You give so detailed review feeling like grabing one for me. To be honest this product look really good. Though it is not fully chemical free. Thanks for your honest opinion. Dark circles are my main concern too. Seems like the cream cannot deliver what it claims to. Thanks for honest review. I was thinking of getting an eye cream since a long time and this seems to be a good option. 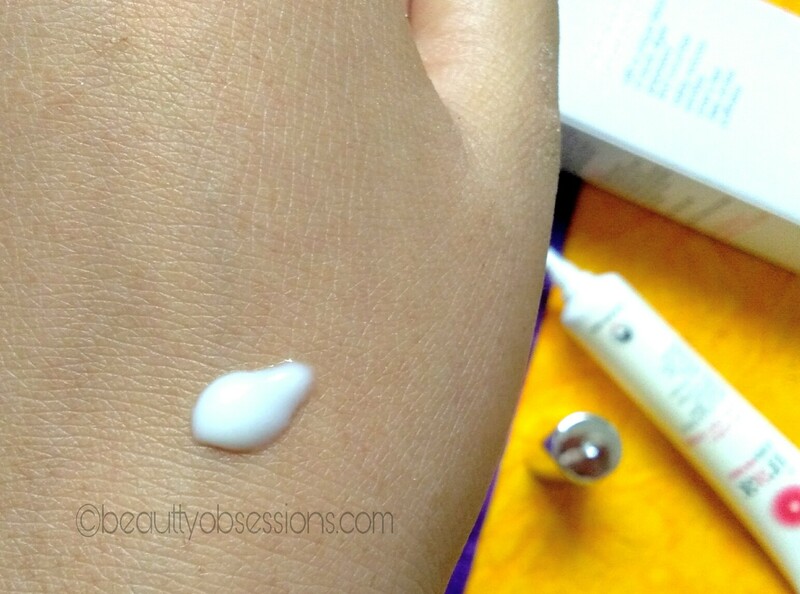 Most under eye creams take time to work. So I feel its ok. But the price could have been lower. Patience is so important for results to show up. Specially for eye cream. I would have bought this if it cured dark circles problem.. 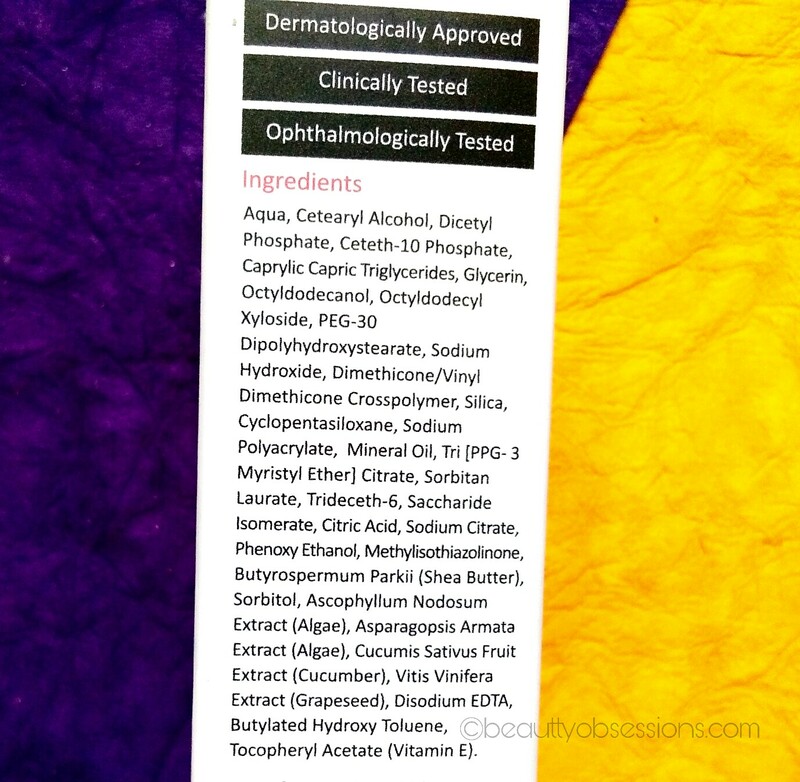 This eye cream seems to be a great product.. Thank you for the lovely review!